According to the classic Chuck Berry song, you can get your kicks out Route 66. For burgers and fries though, you may want to go to Hwy 55. The retro-diner chain was established in 1991 as “Andy’s Cheesesteaks and Burgers” before changing its name in 2012. 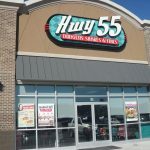 The name is a reference to North Carolina’s Highway 55, near which its company headquarters is located. 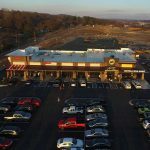 The Huntington location on 3rd Avenue near the Big Sandy Superstore Arena first opened in 2016. The new one at Tanyard Station held a soft opening on Monday, Jan. 21. Both locations are owned and operated by the Downard family. “We used to visit the restaurants in North Carolina when I was pregnant with my daughter – that was 17 years ago. A few years ago when it was time to look at opening a new business, that same daughter, Faith Worrell, suggested we open one because she is obsessed with our orangeade,” Erin Downard explained. Erin Downard owns and runs the restaurants with her parents Lynda and Don Downard. “I’ve lived here in Barboursville for many years, so I knew about Tanyard Station from the beginning. 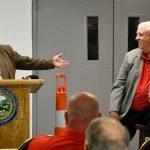 I felt the Barboursville community fit our business very well,” she said. 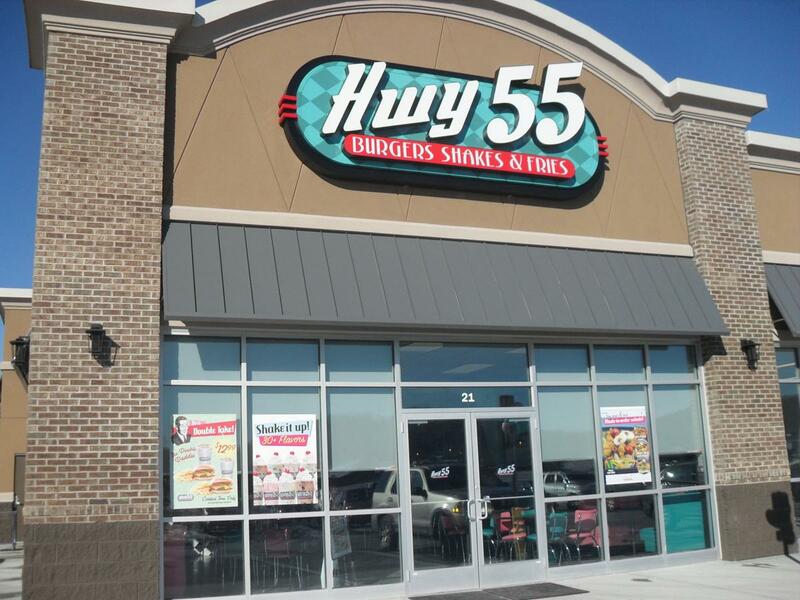 The menu at Hwy 55 features a variety of burgers, sandwiches and salads. The signature “All-American” cheeseburger is served with your choice of American, provolone, or pepper jack cheese and is available in a “lil’ size” ($6.99) or “Andy’s size” ($8.49). You can also choose between the All-American Cheesesteak of Chicken Cheesesteak ($10.99) with your choice of cheese, onions, bell peppers and sauteed mushrooms. For seafood lovers, there’s a Shrimp Po’Boy ($10.99). The menu also has hot dogs, a hamburger steak platter and salads. For dessert, there is a house-made frozen custard, which comes in a different flavor each day. The new restaurant plans to offer the Braille menu Downard had made for a regular Huntington customer, as well, to meet the needs of visually impaired customers. 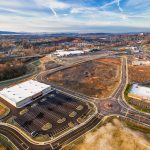 Hwy 55 is located at 21 Tanyard Station Drive in Barboursville. It is open from 11 a.m. until 9 p.m. Sunday through Thursday and from 11 a.m. until 10 p.m. on Fridays and Saturdays. INTERSTATE is committed to excellence in the field of commercial real estate services through dedication, perseverance, performance and Christian ethics.